Playing with the sounds of water, toys, rubbish bins, poles and trees the kids are creating a canvas to record on later. 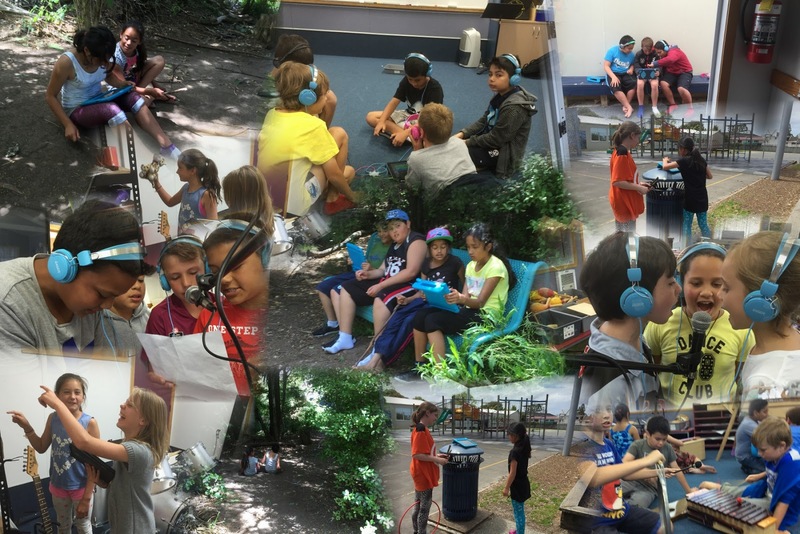 Here are photos of the kids out and about the school grounds collecting found sounds to be used later in a composition using classroom instruments. We have been using garage band to layer various sounds discovered in and around the school. Next steps are to combine the songs recorded with ukelele backgrounds with the found sounds. What creativity I'm discovering.